The SES 15 communications craft, built by Boeing, is fastened top the top of a Russian-made Soyuz ST-A rocket inside a gantry on a launch pad at the Guiana Space Center, a French-operated spaceport on the northeastern coastline of South America. Fitted with xenon-ion thrusters, the 5,075-pound (2,302-kilogram) satellite is heading for a circular geostationary orbit thousands of miles over the equator, where it will slot into position at 129 degrees west longitude, keeping station there for a planned 15-year mission beaming Internet and television services over North America. 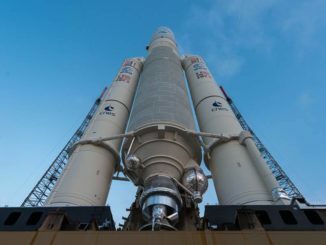 Liftoff is timed for exactly 1154:43 GMT (7:54:53 a.m. EDT; 8:54:53 a.m. French Guiana time) Thursday. If a technical problem or weather prevents launch at that time, another liftoff opportunity is available 33 minutes later. 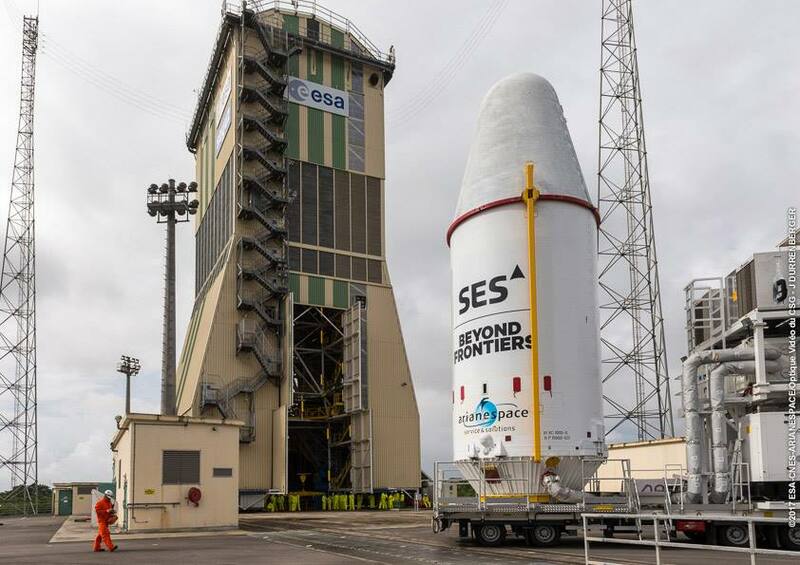 All systems are go for blastoff Thursday, according to Martin Halliwell, chief technology officer at SES, the Luxembourg-based company which owns the SES 15 spacecraft. Halliwell said the mission holds several firsts for SES, operator of one of the largest fleets of geostationary telecom satellites. Russian technicians rolled out the Soyuz rocket to its jungle launch pad Monday, and crews mounted the SES 15 satellite on top of the launcher Monday evening. The telecom platform was enclosed inside the rocket’s nose fairing May 12 in a nearby clean room. After final electrical checks and a mission dress rehearsal this week, the countdown will begin before dawn Thursday. 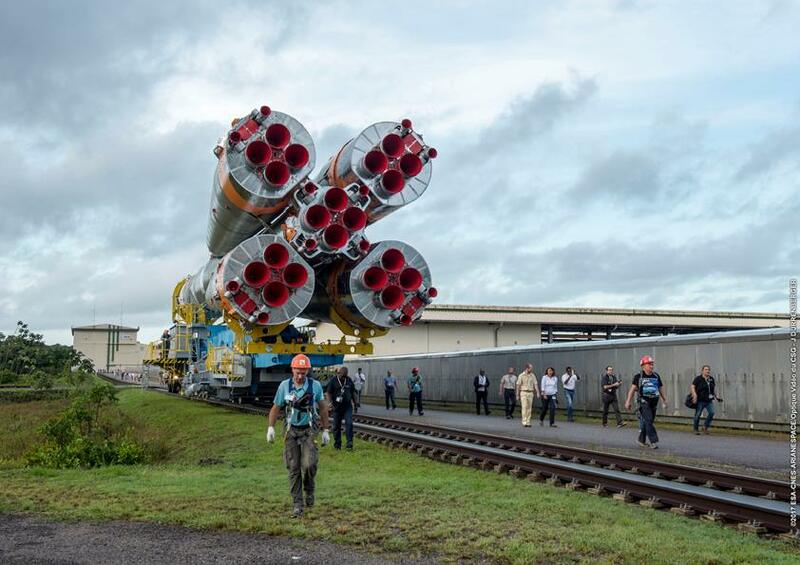 Managers from the Russian space agency and Arianespace, which is in charge of Soyuz operations in French Guiana, will authorize fueling of the launcher with kerosene and liquid oxygen shortly before 0700 GMT (3 a.m. EDT; 4 a.m. French Guiana time). Filling of the Soyuz rocket’s three main stages with propellants should begin at T-minus 4 hours, 30 minutes. 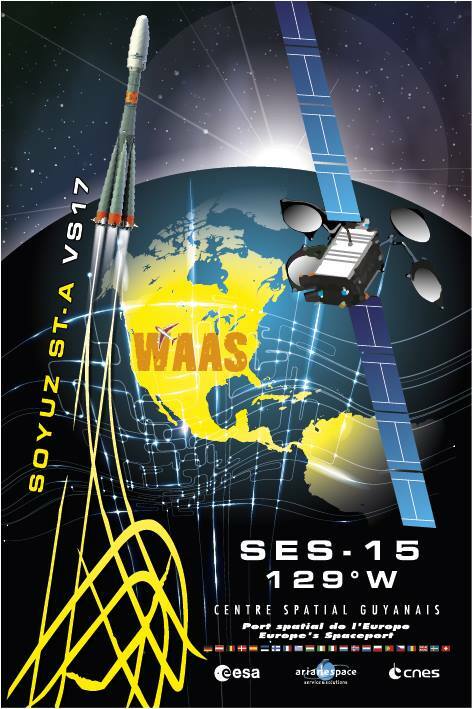 A mobile tower protecting the Soyuz rocket from the humid, rainy jungle climate at the spaceport will withdraw to launch position around 1044 GMT (6:44 a.m. EDT; 7:44 a.m. French Guiana time). An automatic countdown sequencer will take control of the final launch preparations, overseeing pressurization of the Soyuz fuel tanks, the retraction of umbilicals, a power transfer to the rocket’s internal batteries, and ignition of the launcher’s four strap-on boosters and core stage. Petal-like hold-down clamps will release the 151-foot-tall (46-meter) Soyuz launcher from a purpose-built launch pad at the space center, and the rocket’s digital flight computer will steer it east over the Atlantic Ocean. The four strap-on engines will shut down and fall away at T+plus 1 minute, 58 seconds, followed by the release of the two-part clamshell-like payload fairing at T+plus 3 minutes, 39 seconds, once the Soyuz is out of the densest layers of the atmosphere. The Soyuz third stage’s RD-0110 engine will ignite at T+plus 4 minutes, 47 seconds for a four-minute firing, before giving way to a hydrazine-fueled Fregat upper stage for a pair of burns to guide the SES 15 satellite into an “optimized” elliptical geostationary transfer orbit. The first Fregat engine firing, scheduled to last nearly 14 minutes, will propel SES 15 into a preliminary egg-shaped orbit. The Russian-built upper stage will coast for more than four-and-a-half hours before reigniting at 1652 GMT (12:52 p.m. EDT; 1:52 p.m. French Guiana time). The second maneuver will last approximately 52 seconds, long enough to reshape SES 15’s path around Earth and raise the low point, or perigee, of its orbit. Deployment of SES 15 from the Fregat upper stage is scheduled for 1713 GMT (1:13 p.m. EDT; 2:13 p.m. French Guiana time) in an orbit tilted 6 degrees to the equator — roughly the latitude of the Guiana Space Center — with a high point of 19,449 miles (31,300 kilometers) and a low point of 1,367 miles (2,200 kilometers). SES 15’s xenon-ion thrusters will then kick off around six months of orbit-raising maneuvers to steer the satellite into its final circular geostationary orbit over the equator. Halliwell said the orbit targeted by Thursday’s launch, with a higher perigee than a typical geostationary transfer orbit, “gives us a little bit of a head start” on the orbit-raising. The low-thrust electrical jets, powered by xenon gas and electricity, will take longer to adjust SES 15’s orbit than conventional chemical rocket engines. Until the last few years, communications satellites carried large liquid propellant tanks for the firings needed to move payloads from their initial drop-off orbits to their final locations. 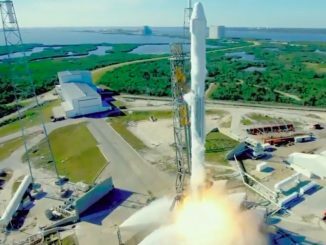 Boeing pioneered the all-electric communications satellite design, building and launching four of the new-generation spacecraft aboard SpaceX Falcon 9 rockets from Cape Canaveral in 2015 and 2016. The cut in mass available with the all-electric design allows payload owners to book rides on smaller, less expensive rockets without giving up capacity on the satellite. 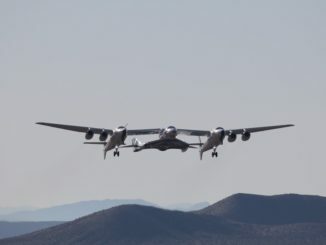 The aeronautical mobility payload “covers the whole of the United States, going right the way up to Alaska, and with a corridor going out to Hawaii, all in Ku,” Halliwell said. In an interview with Spaceflight Now, Spiwak said more than 50 structural components on SES 15 were 3D-printed. 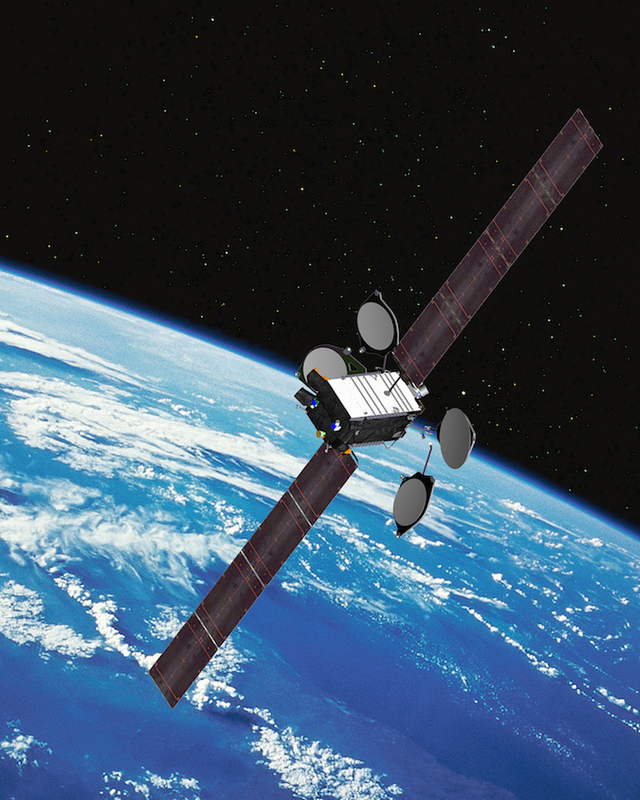 SES 15 will be the second Boeing-built telecom satellite launched this week. Boeing ground controllers at the company’s satellite factory in El Segundo, California, are overseeing Inmarsat 5 F4’s early testing and orbit-raising, while a separate engineering team is preparing for SES 15’s liftoff, according to Spiwak. Boeing has four mission control rooms that could be activated simultaneously, Spiwak said. “We’ve looked at could we even launch on the same day, or within a day or so, so we’ve got all of that mapped out, and the mission control rooms and personnel all in place to support the different missions,” Spiwak said. Spiwak said Inmarsat 5 F4 is in good shape following Monday’s launch as the satellite prepares for a series of firings by its liquid-fueled engine over the next couple of weeks to reach geostationary orbit. Boeing’s mission controllers are re-planning some of the orbit-raising maneuvers after the Falcon 9 rocket deployed Inmarsat 5 F4 into a higher-than-expected orbit, giving the craft an extra boost toward its final position.